Jo's Favorite Things: Daylight Savings Time Ends November 1st, 2015! 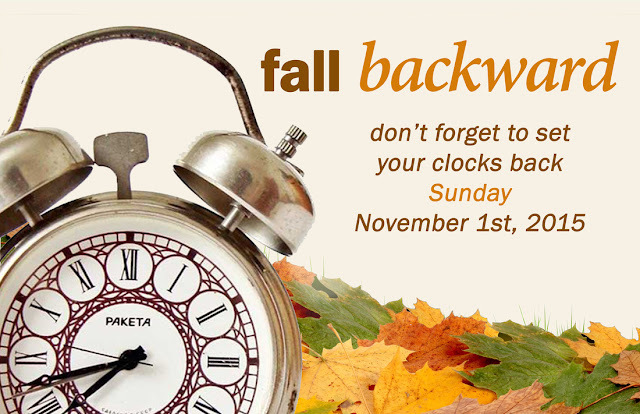 Daylight Savings Time Ends November 1, 2015 at 2 a.m.
You and the little ones will have an extra hour to recuperate from all of the Halloween festivities. Have fun Saturday. And sleep in Sunday morning!